I’ve spent most of my career developing custom software. I’ve worked as an in-house developer creating custom “line of business” solutions. I’ve worked for software development firms that provide custom software for clients. And I’ve primarily been a self-employed custom software developer since first going out on my own in early 2000. Today, a lot of the work that I’m doing involves developing custom software solutions using Xojo. I’m often asked by other developers – some who are already using Xojo and some who are not – where the opportunities for Xojo developers are, and how to find them. I also occasionally see these types of questions posted on the Xojo forum by developers who want to use their knowledge of and passion for Xojo to start their own business. So I thought I’d share some of my experiences and observations. What’s important in a programming language? I started learning how to code as a teenager. Back then there weren’t very many programming languages. I remember BASIC, Pascal, Fortran, COBOL, C and a handful of others that were highly specialized. Why so few? Because in the 1970’s, computers just couldn’t do very much compared to today. The available languages were sufficient for the limited tasks computers had been assigned to manage. Over the last several decades, computer technology has exploded. The smartphone I carry around in my pocket is far more powerful than the fastest computers of my youth. As a teenager, I rarely encountered anything where a computer had played a part. Today the rare encounter would be with things where computers had played no part. Computers handle so many tasks now that, as a natural consequence, there are thousands of programming languages with more appearing every year. With so many languages, it can be difficult to choose one. What is important in a programming language? Continue readingWhat’s important in a programming language? I’m often asked by kids and adults how they can start coding and learn to make apps? You could start with the usual books or videos. But maybe you want to jump right in. When I started programming that is exactly how I learned. I tried things to see what worked and what didn’t work. I also looked at and modified other programs I found. You can learn to code if you just code. These days everyone has a great idea for an app. Maybe you have an idea that would save you time at work, or maybe you’ve been thinking of an app that would automate something you do at home. Not sure where to start? 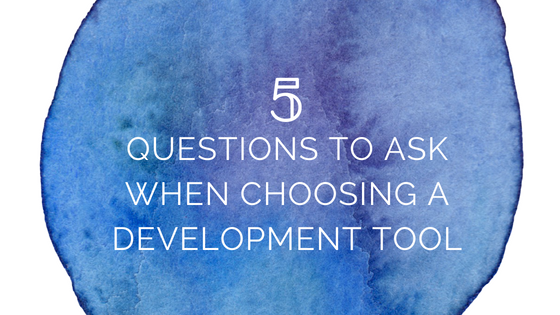 One of your first steps is choosing a development tool that is right for you and for your project. If your app will be used by people all over the world, take the time to consider localizing it appropriately. 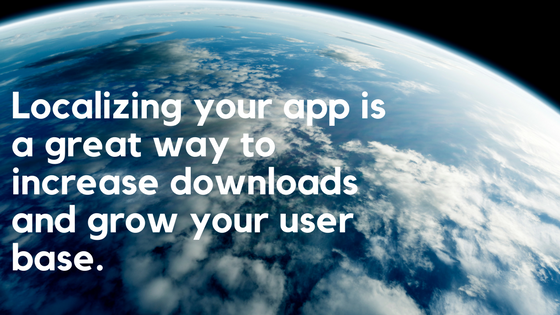 Localizing your app is a great way to increase downloads and grow your user base. Whether you are new to building database applications or you need to expand your toolbox, Xojo is a smart choice. With Xojo you can build real, native apps. And Xojo’s powerful language allows for rapid app development while supporting a wide variety of databases and ODBC, plus it offers flexible form design, database binding, reporting and more. 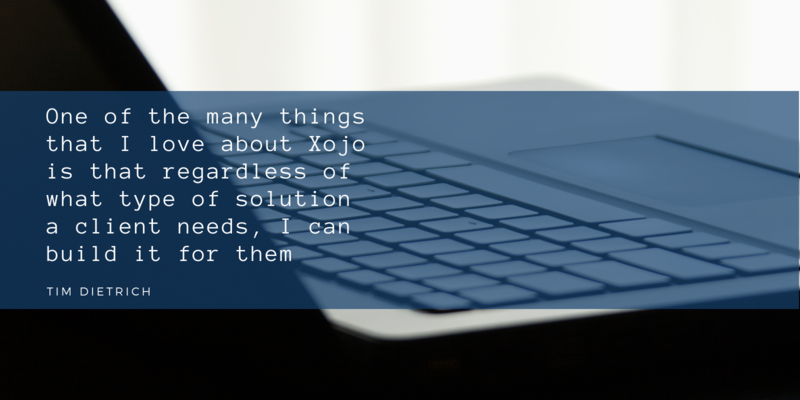 There is a simpler solution: Xojo. 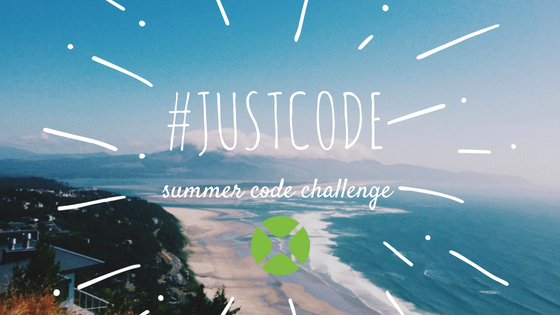 Using a single programming language and a single IDE, you can go from zero to a working web app in an amazingly short amount of time with Xojo. Recently, a new syndication format was introduced by Brent Simmons and Manton Reece called JSON Feed. It is an alternative to RSS/Atom to get feeds for blog posts and podcasts. RSS/Atom are XML-based, making them complex to work with. As its name implies, JSON Feed uses JSON and is much simpler. In fact, it is so simple that you can easily make web, desktop and iOS apps with Xojo to display the feed. In this post, I’ll show you how to create a Xojo web app to display the JSON feed for Daring Fireball in less than 20 lines of code.